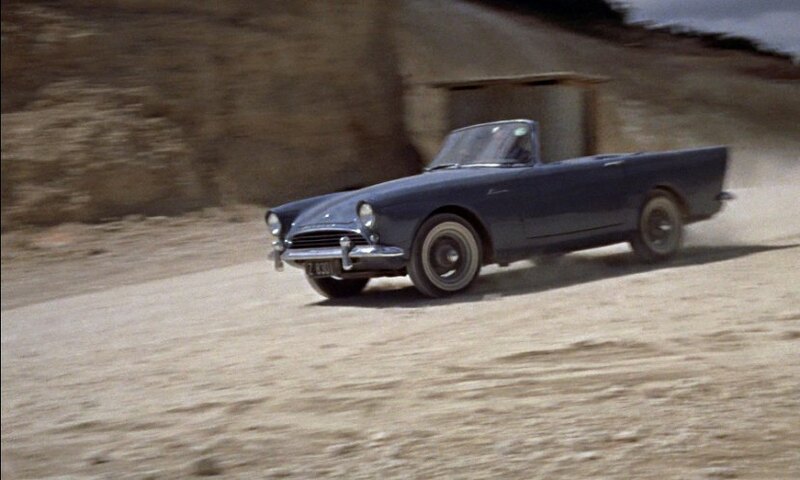 1961 Sunbeam Alpine Convertible was first cars which was driven by James Bond in the 007 movies. It was in chase scene featuring James Bond (Sean Connery) is on his way to pick up Miss Taro (Zena Marshall), following an invite from her. Bond was stalked by the Three Blind Mice, who then end up driving off of a cliff, due to Bond’s superb driving. One of the most famous chase scenes in cinema history.